Intel updated Stephen Hawking's speech system and is releasing it open source. Hawking in May 2014. You can see his “cheek switch” attached to his glasses. After years of collaborating with Stephen Hawking to improve his predictive text system and computer controls, Intel is releasing its Assistive Context Aware Toolkit (ACAT) as a free and open-source product. By making it publicly available, Intel hopes that the system can be expanded and tailored to support people with all different types of motor neurone diseases, paralysis, or other restrictive conditions. As Wired reports in a package about the collaboration between Hawking and Intel, ACAT has helped Hawking double his typing rate and type one-fifth of the characters he used to. His ability to use a computer for basic things like Web browsing and lecture writing has increased tenfold. 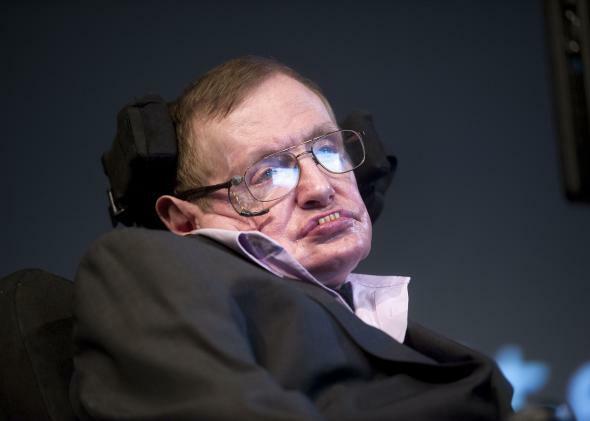 These gains are significant since Hawking uses cheek muscles to make inputs to his computer, and his cheek muscle strength has declined. The more accurately context-aware programs can guess what he is trying to type or do, the easier it is for him to function and produce work. Over the years, Hawking and Intel tried out a number of systems and approaches that weren’t intuitive for him, because even though Hawking is obviously extremely intelligent, he has not used consumer electronics as they have proliferated and changed over the years. As a result, he doesn’t have familiarity with now-standard interfaces, especially those created for mobile. It took many attempts and iterations to find an approach that Hawking could adjust to. His word-prediction system was very old. … The new system is much faster and efficient, but we had to train Stephen to use it. In the beginning he was complaining about it, and only later I realised why: he already knew which words his previous systems would predict. He was used to predicting his own word predictor. The keyboard in Hawking’s new system is powered by predictive typing software SwiftKey (which you might have on your smartphone), but Intel worked with SwiftKey to incorporate extensive examples of Hawking’s writing into ACAT so the system is easier for him to use. When he types “black,” it automatically suggests “hole” as the next word.